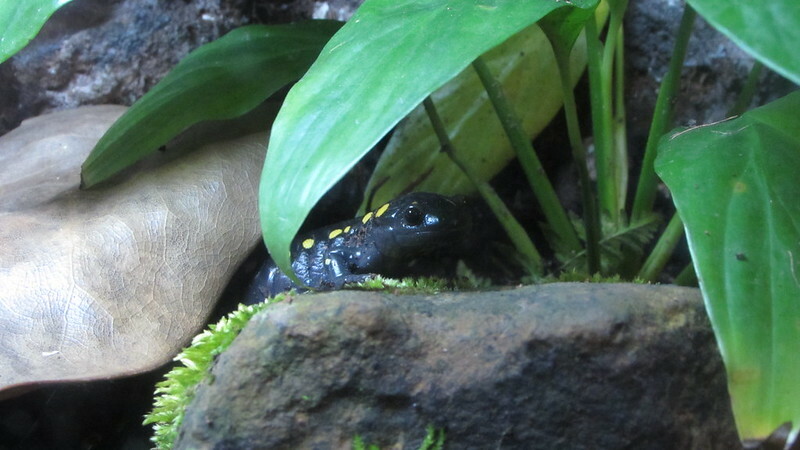 Mole Salamanders but not tigers or axolotls (Ambystomatids) These large-mouthed, burrowing salamanders are indigenous to Central and North America. 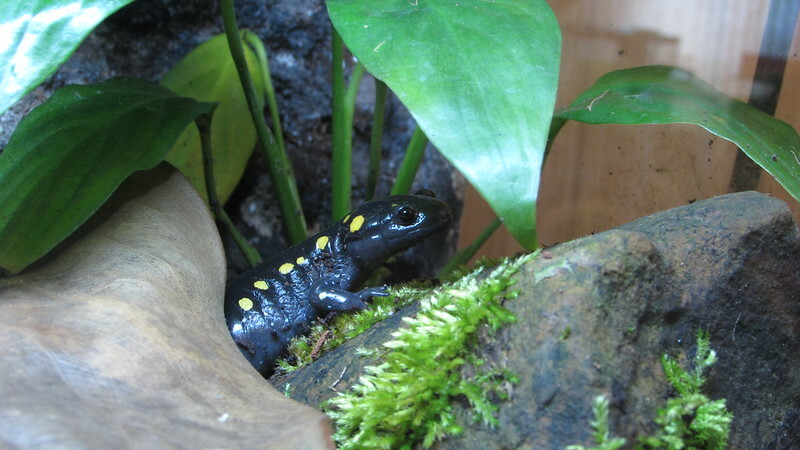 Over this past summer, my fiancee and I set up a 55-gallon aquarium that I received for free from my boss to house our spotted salamanders, which were beginning to get a bit cramped in their 10G. The enclosure included a Great Stuf background hardened with Hot Foam Factory foam sealant, with a waterfall carved in and sealed with silicone. (The spotted sallies' tankmates, a group of black-bellied duskies I bought after falling in love with them in the Smokies, adore the waterfall). I'll get a topic up in Enclosures & Vivaria soon. Nice looking salamander! Any more pictures of the tank, so far it looks pretty good! "I'll be honest, people come up with really profound signatures, and I can't come up with anything "
Visit Sith the turtle's homepage!